LATEST: AN ELDERLY Cooroibah couple have had to flee their home as it erupted in flames around lunchtime. Neigbours of the shocked fire victims rallied to comfort them as six fire units responded to the blaze in the secluded Glenridge Dr single storey brick home. A Tewantin fire unit was first on the scene followed by a Noosa unit but the lack of town water made fighting the fire that much harder as water from a dam and the tanks of rural fire units were used as back-up. Queensland Ambulance Service responding officer Mark Taylor said the house was already up in flames as he arrived. "It's tragic, the house went up very, very quickly ... it was completely involved when we got here and we followed the second fire engine in," he said. Mr Taylor said the couple were lucky to be unhurt. "When we arrived the occupants were actually out of the fire," Mr Taylor said. 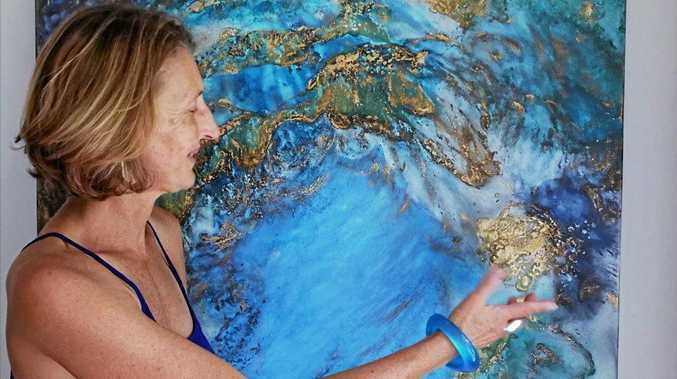 "At the minute we're just maintaining supervision of them, making sure they're okay and that they're not suffering from heat exhaustion and smoke inhalation. "It's really hot out there. As you'd expect they're a little shocked ... there're actually in pretty good spirits. "We've assessed them, and they're okay, they've actually got out of the dwelling very, very quickly." Mr Taylor said the couple had "lost everything" including spare clothing. 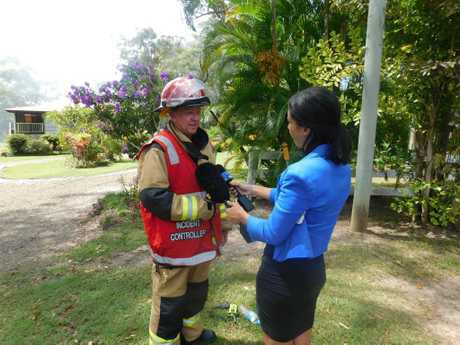 Acting Fire Inspector Kent Mayne of Gympie Noosa Command said there was "fire everywhere" when the first crews arrived. He said the firefighters went into action, but the extent of the fire and the lack of water had to be dealt with. "The flames out of the windows and doors were very intense," Act Insp Mayne said. "They were very lucky they got out on time before the fire got bigger. "They were quite shocked when we arrived." Act Insp Mayne said all firefighters were being checked out by the paramedics because of the heat. UPDATE 12.30PM: CREWS are still fighting to extinguish a fire that took hold of a Cooroibah house. No one has been injured but paramedics remain on stand-by as fire fighters continue efforts to put the fire out. Paramedics on standby at a fire incident at Glenridge Dr, #Cooroibah #Noosa at 11.32am. UPDATE 11.50AM: FIRE crews are battling a fire that has taken hold of a building at Cooroibah. A spokeswoman for Queensland Fire and Emergency Service said a single-storey structure was fully involved in flames when crews arrived. Fire fighters are still working to put the blaze out. The fire is believed to have started in a bedroom of the house. Paramedics are on stand-by but occupants of the house have been evacuated. 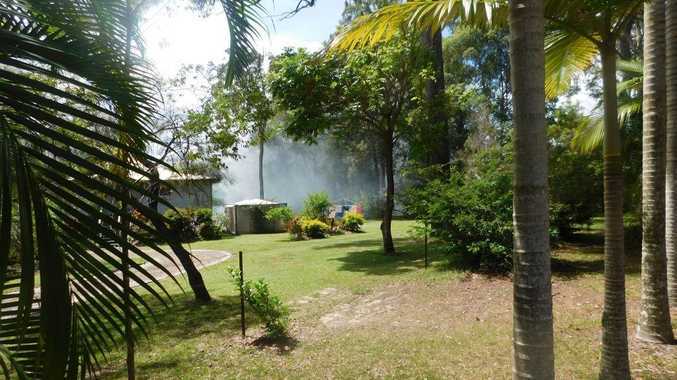 #Cooroibah (#SunshineCoast) - house fire: #QFES crews on scene. Well involved on arrival. INITIAL REPORT: FIRE fighters are rushing to Cooroibah after receiving reports of a building on fire. Two units are on their way to Glenridge Dr and more have been tasked to help.